Did you know your face can have an extra glow? Scrubbing is one of the ways to help us get that healthy look. But a paste is easier on the skin! You can make your own ‘home facial’ using a variety of ingredients available from your local grocery or health food store. In India, the spice turmeric (curcuma longa) has been used for 4000 years for both food and beauty. You know its flavour – it’s the main spice in curry. Recent studies show that eating quantities of the spice can help fight infections and some cancers, and it shows promise in the treatment of numerous other diseases. For a home facial: In a bowl, mix orange juice with turmeric into a paste. Apply the paste with light strokes to your face. Once it has dried, rinse it off with cool water. This will help to disinfect, get rid of any dead skin — and it will add a special glow to your face (be aware that it may stain the skin a bit yellow but also can smooth out pigmentation). For those with oily skin: Another traditional turmeric remedy you can try — head first to the health food store for sandalwood powder. Add about 1-½ tablespoons of sandalwood powder and a pinch of ground turmeric to 3 tablespoons of orange juice and apply the paste to the face. Leave on for about 10-15 minutes. Rinse with lukewarm water. Turmeric helps to regulate the production of sebum, an oily substance produced by the sebaceous glands. Some acne sufferers swear by turmeric facials and claim it greatly reduces the appearance of acne. The orange juice provides fruit acid to clear blemishes and sandalwood is a natural astringent. An added benefit: turmeric also works as a sun block! Hong Kong singer/actress Karen Mok lies next to a harp seal pup on an ice floe in the Gulf of St. Lawrence, Canada in this photo taken March 6, 2009. The trip was part of the Humane Society of the United States protest against the annual Canadian seal hunt. You’ve seen her with Jackie Chan in Around the World in 80 Days and you’ll find her in some 40 movies out of Hong Kong with stars like Jet Li and Stephen Chow. She has her own perfume and lingerie lines, speaks 5 languages ((English, Cantonese, Mandarin, French and Italian), plays piano, oboe, and ‘gu zheng,’ and has received awards for her acting, singing, and composing. She sings Cantopop, C-rock, Alternative pop, and Pop rock. She’s known throughout the Sinosphere as just “Mok” or “Mo Wen Wei,” but in Hollywood by Karen Joy Morris, her birth name. She has appeared in Beijing on behalf of Humane Society International to combat the Chinese bear bile industry and received one of PETA’s “Best Dressed Celebrities” award in 2008 in recognition of her refusal to wear animal skins. In 2009, she traveled to Canada for the Humane Society International to protest the hunting of harp seals. This spring, she returned on behalf of the Hong Kong SPCA (Society for the Prevention of Cruelty to Animals) to film a documentary just weeks before the annual seal hunt begins. The trip is being organized as part of a campaign lobbying for a ban on the trade of seal products in Hong Kong and China. While Canada’s leading fur buyer has shut down operations as the market for seal fur has virtually closed down, the annual April seal hunt is still going forward in 2012. A quota of 400,000 seal skins has been set for the year. The seal population has dwindled in recent years as sea ice melts due to global warming according to the Humane Society Canada. See . “Seals are such lovely creatures, and who needs seal fur, or any fur for that matter, when there is so many different fabrics we can use to keep us warm. There really is no point to fur,” Karen Mok told Deutsche-Presse Agentur. See . As one of the world’s fashion hubs, the decisions made by Hong Kong manufacturers and designers not to use fur can have real influence on the fur industry. Karen Mok says,“Hong Kong people are compassionate. There are a lot of animal lovers here, and I think they will react strongly. Seal products are banned in most parts of the world, but there is still a market in Asia, especially China and Japan, and Hong Kong can play a part in stopping this terrible torture of animals.” See . If we turn the camera on atrocities, can we stop them? 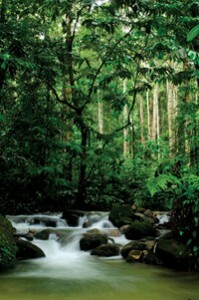 American Magazine Recognizes Malaysia’s Natural Healing Goodness! Herbalgram, the magazine of ABC (The American Botanical Council) featured a 14-page article detailing Malaysia’s unique medicinal plants. Herbalgram is the foremost American magazine in the herbal industry, read widely by herbal professionals as well as regulators at the U.S. Food & Drug Administration (FDA). Paul Penders Company has been a supporter and sponsor of HerbalGram for several years. using the herb across our range of products. Go to HerbalGram to read the full article (which is very interesting!). In fact, over here in Paul Penders, we are researching many Malaysian herbs for use in our herbal skincare and haircare products. 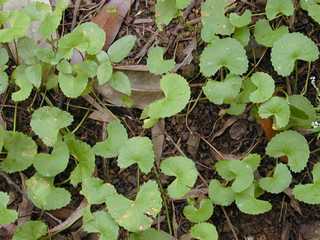 One of the Malaysian herbs is our much-loved pegaga, a herb which we use in our products. Pegaga’s image can be seen on the front labels of all our bottles, jars and packaging. I’d Rather Go Naked Than Wear Fur! This internationally known Asian singer /actress is willing to go naked for PETA. “I won’t show my body in ads or on TV – but I’ll make an exception to bring awareness to animal suffering,” said the famous Taiwanese movie star and singer Annie Yi Neng-jing. “Fashion refuses slaying, real beauty denies killing. I’d rather go naked than wear fur.” Annie Yi, as she is known, confessed at a Beijing press conference on March 8th that she used to think of fur as a fashionable luxury item until she saw a video about the torture of animals at fur farms. She has narrated an anti-fur video for PETA’s (People for the Ethical Treatment of Animals) Asia-Pacific campaigns. Asian celebrities are coming out in force to support an end to cruelty to animals. In Beijing, the popular Chinese actress Gao Yuanyuan has become the new spokesperson for seal protection for her opposition to the Canadian seal hunts. Speaking out on behalf of PETA Asia-Pacific, the actress has been photographed wearing a publicity T-shirt protesting seal killing according to the “Women of China” website. “The Dancing King of Asia,” Taiwan’s Show Luo has been named ‘Person of the Year’ by PETA Asia for his love for dogs. He appears in an ad saying, “Adopt Dogs, Don’t Buy!” to help combat the homeless animal crisis. PETA came back in the news recently when the American celebrity Kim Kardashian was ‘flour bombed’ as she walked the Red Carpet in London wearing fur. Now if only, ‘Kim K’ and others who consider luxury before life would follow her Chinese counterparts’ example! Paul Penders International applauds these Asian celebrities for their courage. The company continues its long-time support of PETA’s efforts around the world to end cruelty to animals. 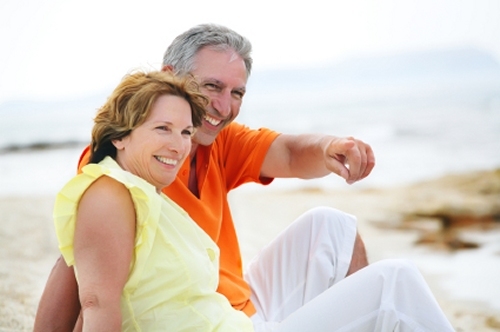 What Retirees Wish They’d Done Differently! 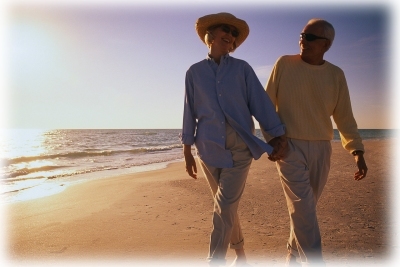 Retirees know a lot about what it’s like to be retired. However, they often don’t get asked for their advice. It was Reuters who decided to go to the source. They asked several retirees about their opinion and advice about what they would tell their 40-year-old selves if they could go back in time. If I would have been asked by Reuters, I would have added to this: spontaneous loud laughing!